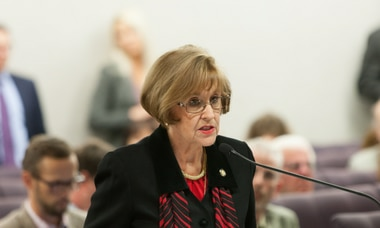 The flier implies that Greene has been endorsed by the Palm Beach County Democratic Party. 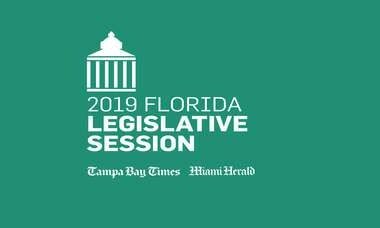 A recent pamphlet sponsored by Jeff Greene's PAC is being blasted for being misleading, prompting the Palm Beach County Democratic Party to issue a notice that it has not endorsed anyone in next week's primary. The pamphlets were placed on the cars of people parked at black churches in Palm Beach County, state Sen. Bobby Powell posted on Facebook on Sunday. On one side, the pamphlet appeared as if it was a neutral "voter guide," with one side listing various early voting sites in Palm Beach County. "This voter guide is provided for educational purposes and is not to be construed as an endorsement of any candidate or political party," the fine print states on the bottom. Below that, it reads, "Sponsored by Florida Defense Fund." That's a PAC being run by Greene's campaign. 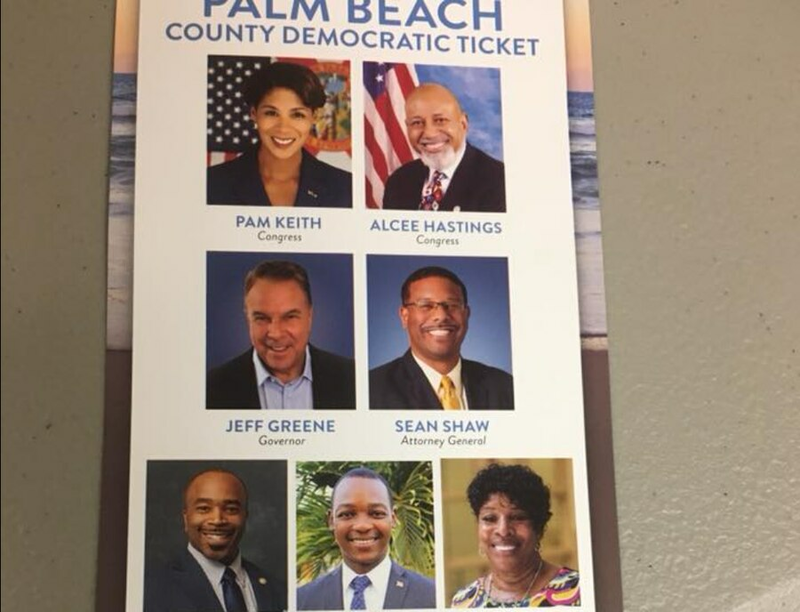 But on the other side of the pamphlet, it showed 10 members of the supposed "Palm Beach County Democratic Ticket," which included Greene, Attorney General candidate Sean Shaw, state Sen. Bobby Powell and Congressman Alcee Hastings. With the exception of Greene, all of the candidates listed on the "ticket" are black. Powell, who has endorsed one of Greene's opponents, Tallahassee Mayor Andrew Gillum, called the pamphlets "disrespectful" on Facebook. "This is not official at all and it is disrespectful," Powell wrote on Sunday. "This is going on cars at Black Churches. As a Democrat I can assure you that the party has not endorsed in the primary." A few of the candidates on the pamphlet aren't even on next week's primary ballot, including state Rep. Al Jacquet and school board candidate Marcia Andrews. About an hour and a half after Powell's Facebook post, the Palm Beach County Democratic Party said it had not issued any "slate cards" for the primary. "Palm Beach County Democratic Party did not endorse or print slate cards for the August 28th Primary," the party posted on Facebook. It was shared by Florida Democratic Party chair Terrie Rizzo. The post does not mention Greene's campaign or the pamphlet directly. Greene's campaign said the pamphlets were not an endorsement, and were "developed and distributed by local community organizers." "These cards were developed by Jeff Greene organizers in local communities and contain no express advocacy, nor suggestion or statement of endorsement," campaign spokeswoman Claire VanSusteren said.